Growing Up Green : LET'S VISIT AMSTERDAM!!!! TAKE A BREAK, STUDENTS!!! LET'S VISIT AMSTERDAM!!!! TAKE A BREAK, STUDENTS!!! With our crazy touring schedules, and super long work days, there isn't an excess of relaxation time. Most of our vacations are spent going home! I know it sounds abstract, but it is true! Going home is a precious vacation time, and it is spent catching up! 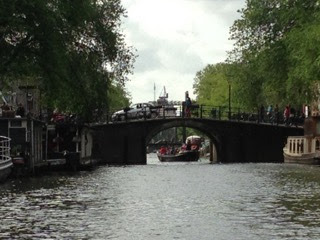 On tour, Amsterdam is one of our favorite cities to visit, in more than one way! There are so many places to explore! Max and I once caught the Rembrandt exhibit and have never been so amazed at a painter's abilities! Wicked stuff!! 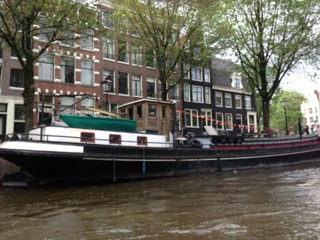 Our favorite pastime- well, one of them-in the City of Canals, is the canal boat ride and we have taken it many times!! The long cruisers can be hopped on at any number of locations. We prefer to jump on in the area of the American Hotel and take it from there. We have had stops at many historic sites on the way. You can get off, visit your choice of experience, and then, jump back on another boat when you are ready. 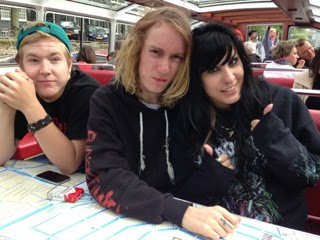 We have taken the kids to Anne Frank's hideaway. Crawling through the back of the famous bookcase, seeing her yellowed clippings of movie stars pinned in her room, it is all personal and eery. You cruise under ancient stone bridges, past the most narrow home in the city, the red light district ( although it has been tamed in the recent years), and into the harbor. 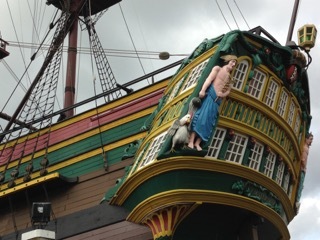 Colorful ships from ages past, and the largest Botel I have ever seen are all treats on the way. 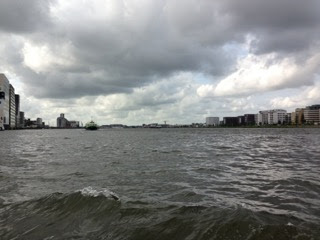 We have also enjoyed the evening dinner cruises, bottle of wine and candlelight. We have taken many guests on these cruises, young and old. 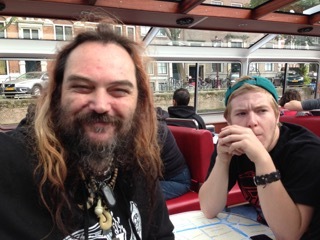 The Maximum Cavalera Tour was recently a family outing in the 'Dam! Even rock stars need a break!! !